Sometimes, the pain in the face and neck area is not truly directly connected to a tooth, gum or mucosa problem. If you feel pain on the side of your jaw and face and cannot really pinpoint the actual spot, you may be suffering from a TMD (temporomandibular disorder), often erroneously referred to as TMJ (Temporomandibular Joint). Naturally, there may be other reasons for the jaw pain (as we pointed out in some of our previous blogs) and sometimes, there may be several or multiple issues that exist at the same time. Visiting a dentist who will perform a comprehensive exam and determine the true cause for the pain or discomfort is always a recommended. The temporomandibular joint, also called “TMJ” for short, is a (for lack of better word) a “hinge” that connects the jaw bone to the skull. As in other areas of the body, there is never a bone-on-bone contact (that would be some painful grinding, right?). That’s why we have connective tissue tendons, cartilage and ligaments. In the case of the temporomandibular joint, there is dense, irregular connective tissue disc that acts like a cushion between the bones of the skull and the bone of the jaw. This allows for more complex movements, rather than a typical, hinge-like action. The special connection between the skull and your lower jaw allows for movements of the lower jaw in several directions, up-down, left-right and any combination of those movement. This allows us to talk, bite, chew, and yawn. Physical injury to the jaw, the joint or the surrounding muscles. Any accidents, falls, blows to the head and the jaw, whiplash injuries can possibly damage the joint, the muscles and cause TMJ problems, even at a later date. Grinding and/or clenching teeth can put a lot of pressure on the TMJ (see our previous blog on this subject)…..
Movement of the TMJ disc (cushion) between the bones. Stress can cause tightening of the muscles, clenching and/or grinding. How to Detect TMJ Problems? Problems in the TMJ can manifest themselves as discomfort yet the pain can be quite severe in lots of cases. These problems are sometimes temporary (come and go) and sometimes can last for very long time, even years. The problems ca be on one or both sides of the face. Mostly, it affects people between 20 and 40 years of age and is more common in women than men. Of course, it can occur at any age and in everyone can get it. Pain and/or tenderness in your face, neck, and jaw joint area (around ear). Cannot open your mouth really wide, or it seems difficult to open really wide. Your jaw gets ‘stuck” or locks in one position when you open or close. Hear sounds when you open or close your mouth. These sounds are often described as clicks, popping sounds, or even grating-like sounds. The feeling that your teeth do not fit properly and your bite feels uncomfortable. 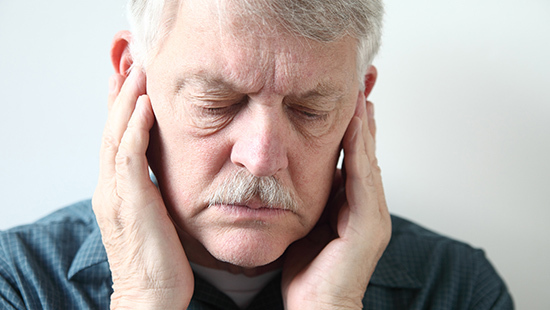 As previously mentioned, many other conditions can present themselves as a TMJ problem. Decayed teeth, gum disease, sinusitis and other conditions can very well be the cause of your pain. This is why a comprehensive dental exam is paramount. The dentist will check your jaw joints for pain or tenderness and listen for clicks, pops, or grating sounds when you move them. The dentist will also make sure your jaw works properly, check your bite and check for difficulties with your facial muscles. Regular x-rays may not show your jaws and the joint area so a full face (panoramic) radiograph may be needed. Additionally, a computer tomography (CT) scan or MRI may be ordered to assist in evaluating the bone structures and the position of the jaw. Referral to an orthodontist or oral surgeon may be needed. The orthodontist may help you with aligning your teeth and making sure the teeth are in the right position in relation to each other while the oral surgeon may be needed if surgical treatment is anticipated. There are things you can do on your own to help alleviate some of the symptoms associated with TMJ problems. Over-the-counter medications. Nonsteroidal anti-inflammatory drugs (NSAIDs), like ibuprofen can get rid of muscle pain and swelling. Avoid hard food, try to eat soft foods. Add soft food to your diet, like soup, cottage cheese, yogurt, mashed potatoes, fish, cooked fruits and vegetables. Cut your food into small pieces to avoid having to open your mouth wide. Of course, stay away from hard and chewy food. So, no caramels! Avoid extreme movements of your jaw. Try not to yawn violently, don’t chew gum or ice. Don’t yell, sing (that’s a bummer for your shower singers). Practice good position. Don’t hold your phone between your shoulder and your ear. Don’t rest your chin on your hand (the pressure is on the TMJ). Avoid clenching so try to keep your teeth slightly apart as often as you can. This helps relieve pressure on your jaw and the joints. Relax! Anything that reduces stress will be helpful. Massage, meditation, exercise or whatever helps you with thee stress should be considered. Ask your dentist if you need physical therapy or massage. Consider stress reduction therapy as well as biofeedback. Muscle relaxant to relax your jaw if you grind or clench your teeth. Anti-anxiety medication to relieve stress. A splint or night guard. These appliances fit over your upper and lower teeth so they don’t touch. Splints are used all the time, during the day and during normal activities. Night guards are used only during the night. Your dentist will tell you which is the type best fitted for your needs. They work through lessening the effects of clenching or grinding and correct your bite by putting your teeth in a more correct position. Transcutaneous electrical nerve stimulation (TENS). Utilizes low-level electrical currents to relax your jaw joint and facial muscles, which in turn alleviates the pain. It can be done at the doctor’s office or at home. Ultrasound can dismiss tenderness or increase mobility. Trigger-point injections. Usually pain medication being injected into tender facial muscles (“trigger points”). Low-level laser therapy. This lowers inflammation, helps with the pain and helps you open your mouth wider. Surgery for TMD. If other treatments can’t help you, surgery is an option, usually done by oral surgeons. As with lot of surgical solutions, once it’s done, it can’t be undone. Therefore, get a second or even third opinion from other surgeons. At Imperial Dental Center, the examination of the TMJ is part of the comprehensive oral exam. Dr. Angelova will check for any signs of TMJ problems, popping or clicking sounds and any clinically detectable anomaly in the TMJ or the muscles. She will also make sure you can open/close your mouth normally. The temporomandibular joint is not really visible on regular dental x-rays. If needed, more complex and detailed radiographs and scans will be ordered and proper referrals will be done with our network of collaborating specialist providers.